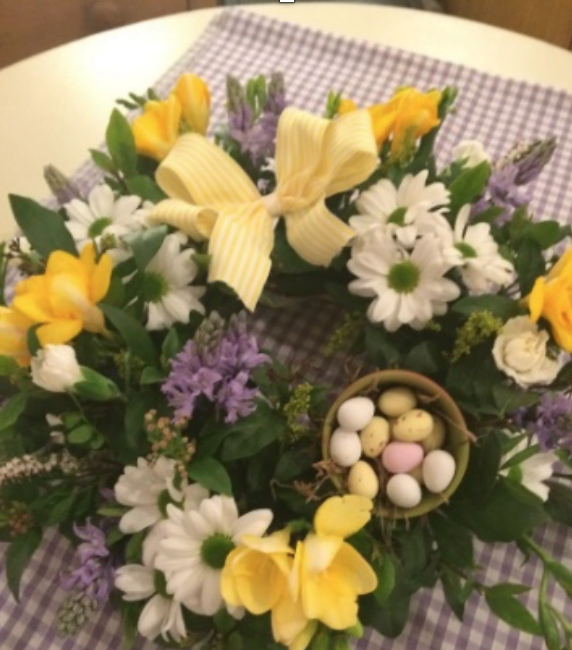 Join Teresa Kearns, of “Flower Show Presents”, who will teach how to make Easter wreaths & posies using seasonal materials and a few special touches for that real Easter spirit! Flower Show Presents offers bespoke flower workshops and events for all occasions, including Hen Parties, Corporate events, children’s parties, or just an interesting get together with friends making seasonal creations.The company, now in its third year, was founded by Katie Kearns who previously owned and ran a very successful local flower shop called ‘Daisys’. On occasions Teresa (her mother), also formerly involved with Daisy’s, will be hosting our events here at Denmans.